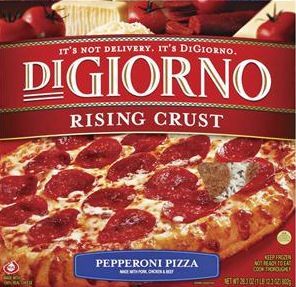 NOW TIL SATURDAY 12/9//17 DIGIORNO PIZZA’S ON SALE FOR $4.97 EACH. WE CAN SCORE ONE FOR ($3.97 ) W/ SUPER COUPON AND ADDITIONAL $10 PURCHASE… RUN AND PRINT THE COUPON AND GET 3 PIZZA’S FOR JUST $2.98 EACH WITH THE BUY 2 GET 1 FREE COUPON HERE! !